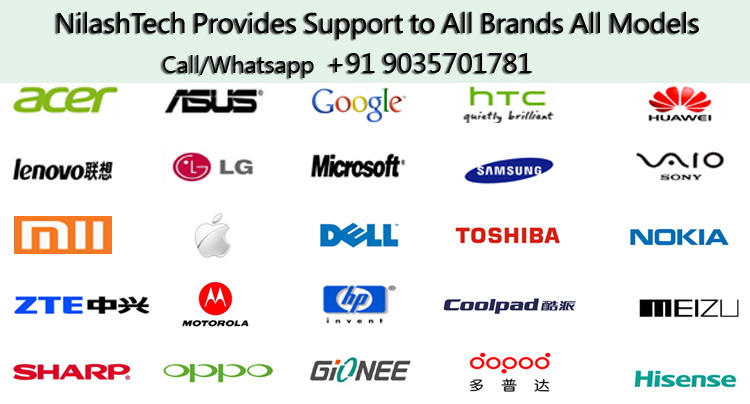 We at NilashTech provides Complete Software & Hardware Mobile Services like Rooting, Unbricking Android (Both Soft or Hard Bricked), Upgrading Android to latest version, Custom Rom Flashing, Unrooting, Boot loop Fix, Display/Glass/Touch Replacements, IC Repair, Charging port, Sim Tray Repair, Speaker Issues Fixing, Mic Repair, No Network Repair etc.,and many more. We have rooted thousands of Android devices and unbricked/Recovered many mobiles and tablets till date from 2012 the year we started and so your mobile is in safe hands. Our Goal is SATISFIED CUSTOMER by giving them FAST, SAFE, and AFFORDABLE Services.